Our first Munro was certainly memorable. I'm starting to think that Jen's phone doesn't like me. The rain started as we left the forest. Donning our waterproofs we carried on past the house at Etnach making a mental note that this was a good camping spot if things got worse. The wind kept slowly increasing and the rain became more horizontal as we pressed on. By the time we reached the lovely short grass at the foot of Mount Keen the wind was so strong that Jen was nearly blown over twice, there was no way we were camping here. Our last hope was the Shiel of Glentanar ruin or it was back to the shelter of the trees at Etnach, luckily we found the perfect spot to keep us protected from the wind. Getting the tent up was problematic as the tent pegs all appeared to be an inch longer than the available soil but with much cursing and repositioning I eventually got it up. (If a little twisted) We got into our bags and went to sleep hungry. 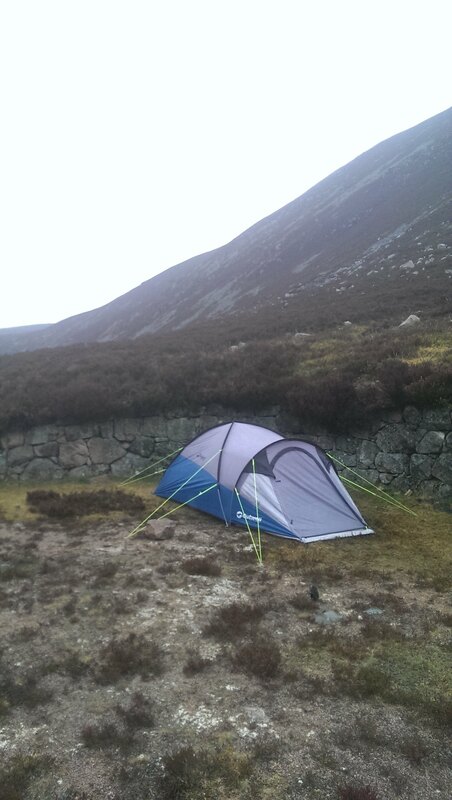 Having only had the tent out in light rain before we were surprised to wake up lovely and dry after howling winds and heavy rain all night. Morning greeted us with drizzle and after a portion of porridge fit for a five year old (thanks quaker) and a hike bar each we set off with our day packs towards the clag covered summit in the distance. Aware that conditions can get bad we were a bit cautious of carrying on but the summit cleared a bit as we got closer so we carried on. The weather deteriorated fairly quickly after that picture was taken. Within a few minutes we lost sight of all surroundings as clag moved in. Five minutes after this picture was taken we started to see a bit of snow but it wasn't too bad. We took the path to the left that traverses the top of the crags and we found a nice wee shelter to make a cup of tea and assess our situation. There was a strong wind behind us and we were getting flurries of snow. We felt comfortable carrying on. There were a few patches of snow ahead but nothing major. Pretty soon the path became indistinct amid a boulder field and as we picked our way through the weather decided to test our mettle. Thick snow started blowing in on a strong wind behind us, visibility was poor and within ten minutes there was an inch of slippy snow covering the boulders. 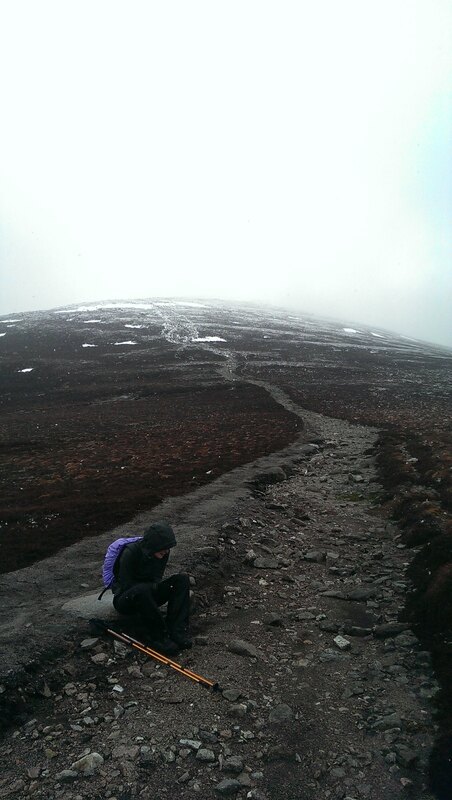 We were roughly half way between the summit and the identifiable start of the path back down. After a quick discussion we again decided to press on over the summit as it seemed easier than descending into the wind and snow. We picked our way up and through the boulder field to the trig point. It was slow going as everything was covered in snow. 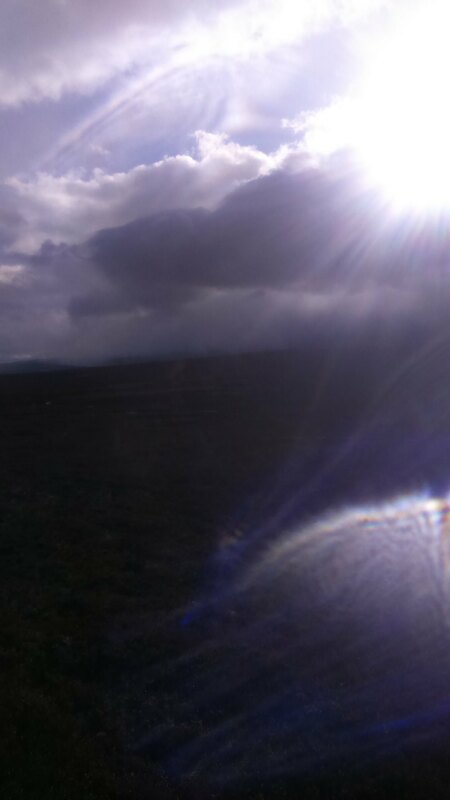 I tried to stand next to the trig point for a picture but was blown off twice and decided to give it a miss. 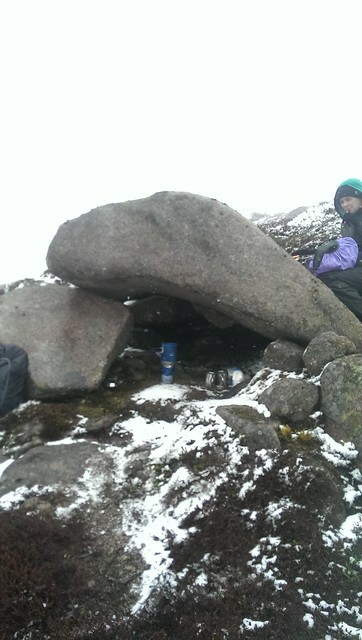 The shelter cairn looked inviting amongst the alien landscape of snow and rock. Visibility was about 10 meters and just as we were about to clamber in to get the map out we got a welcome lull in conditions and we spotted the cairn at the top of the other route down. It was tough going on the steps, very slippy underfoot with about 2 inches of snow covering the path but the wind wasn't as bad now and as we descended the snow eased a little. 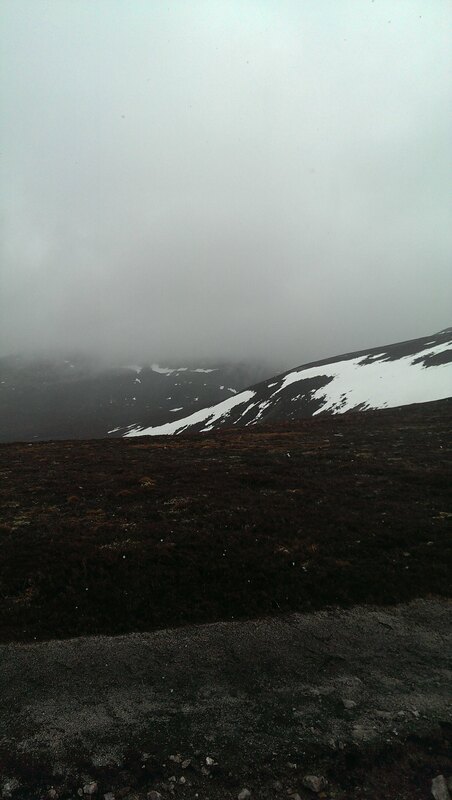 We reached the Mounth path junction and turned into the wind and snow. Nope. 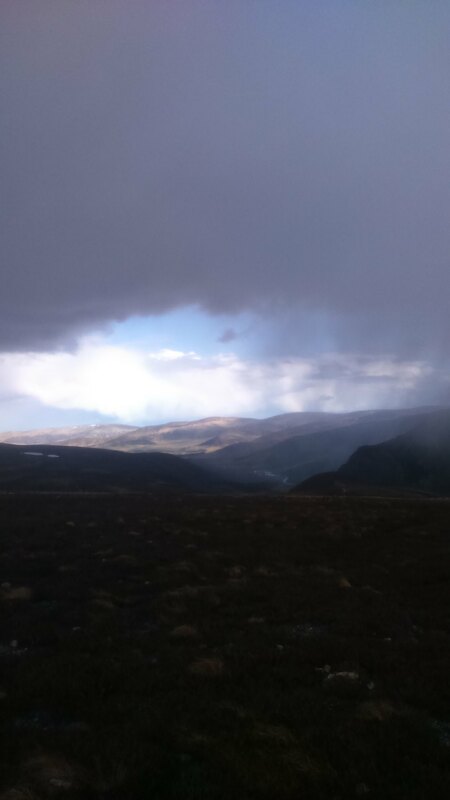 We were not up for that, horizontal snow was not fun so we decided to take some time out in Glen Mark. 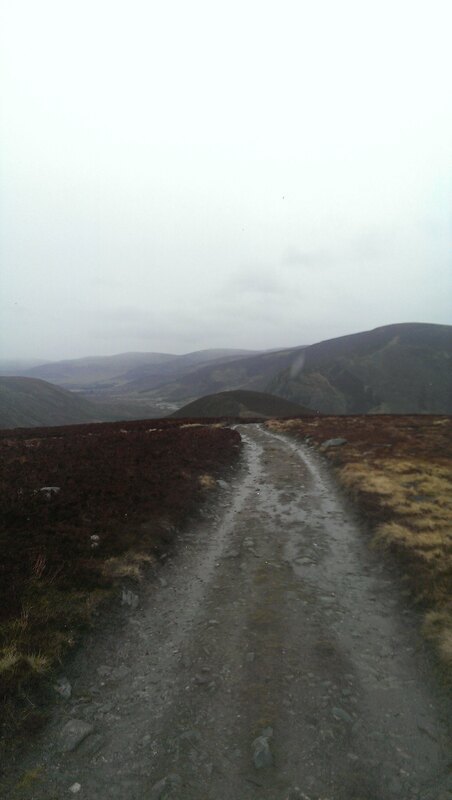 Conditions began to improve as we descended. We had a look at the map and decided to head all the way down to Auchcronie dreaming of a michelin starred burger van in the car park or a quaint tea shop with cream cakes and leather couches. Expecting an easy stroll in we were a bit non-plussed when we got to the crossing at Glenmark Lodge. We investigated downstream for stepping stones to no avail and headed back upstream where we found a suitable spot, it wasn't ideal, slippy rocks and a raging torrent to leap at the end but I made it across without getting my feet wet. Jen decided on a strange approach. At the final leap (about 1.5 meters) she declared she couldn't make it, after a little encouragement from me she unleashed a leap worthy of the olympics. Strangely, she had chosen to leap in a star formation, head first into the heather on the bank. She clambered out with one leg in the river but somehow stayed dry. 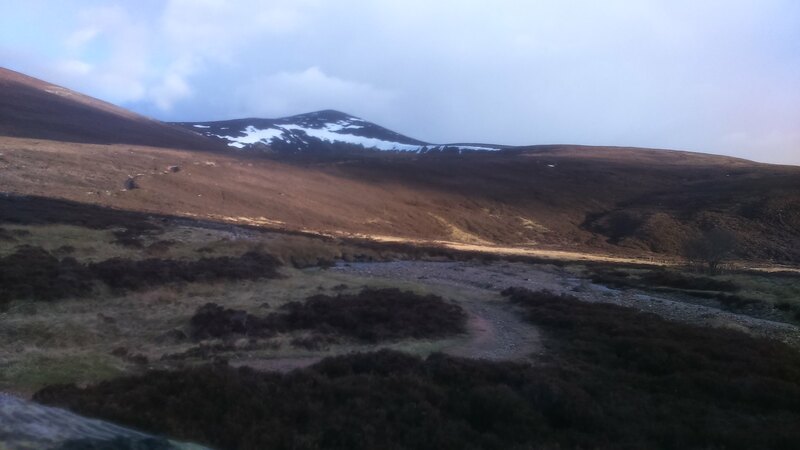 Definitely the highlight of the day we descended into Auchcronie, me singing Bowie's 'starman' in my head. It was at this point we noticed the weather had improved. We had been looking for a crossing for so long we hadn't noticed. 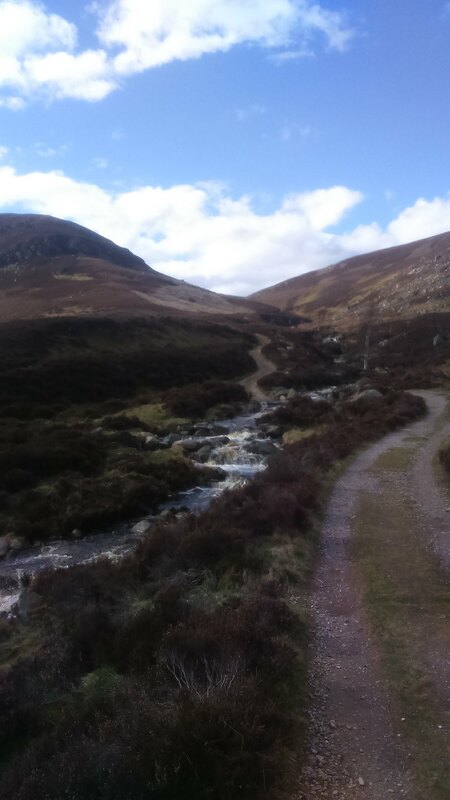 We set off back up the right path this time noticing signs offering tea but since we had just finished a cup and there was no cream cakes advertised we pressed on up the river/track back to Glenmark. 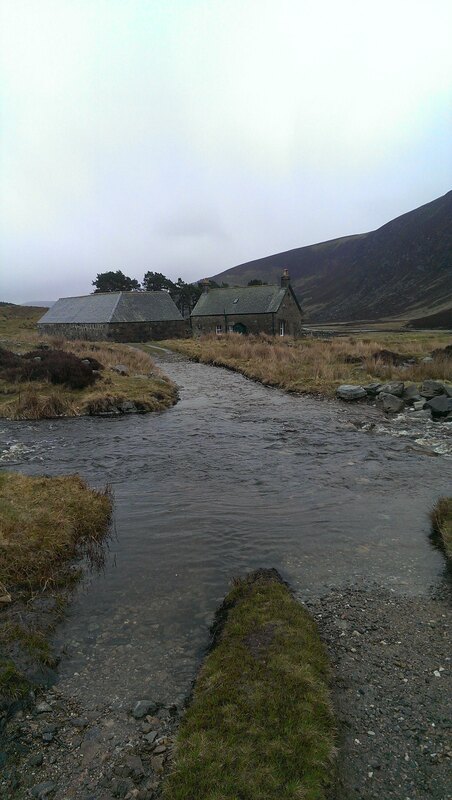 Aware we were pushed for time we wasted none getting our boots off and rolling up our trousers to ford the burn. It was bloody cold. We made good time on the ascent to the Mounth path and the weather had improved significantly, blue skies were enticing us toward the summit again since we had seen nothing of the view the first time. It didn't last long. As we stood at the junction of the Mounth road debating if we should go up again the wind picked up from nowhere and black cloud rolled in above. 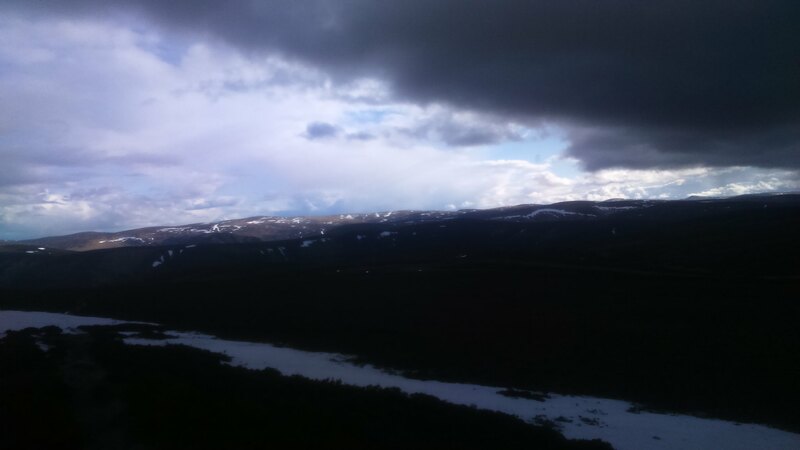 We set off along the Mounth path with snow, then sun, then snow, then snow and sun together. I tried to take a picture but it's not exactly clear. The route was lovely, every now and again the cloud would clear offering wonderful views of the surroundings. 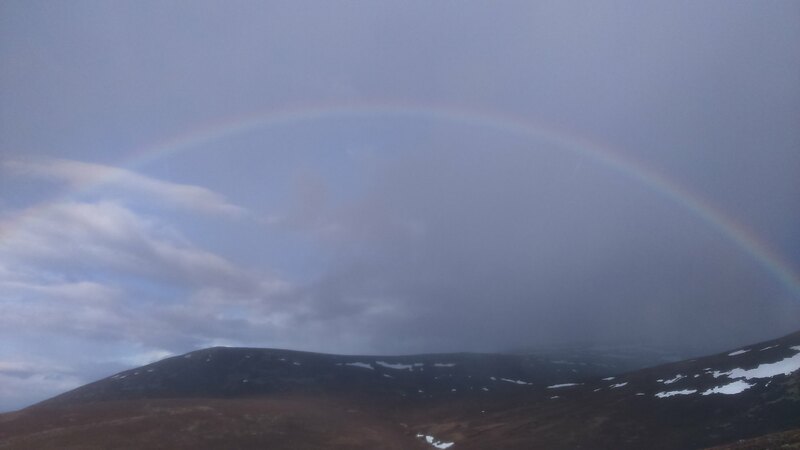 We made good time on the traverse and as we started to descend we were treated to a double rainbow. It was only a single by the time I got the phone out for a picture but this just about sums up our day on Mount Keen. Black cloud on the summit, blue sky all around. We made it back to the tent at about 8pm and heated up a tin of chilli con carne and had two cups of tea before packing up and heading out. We debated staying the night due to the hour but knowing there was a big moon and with clear skies we thought it best to get out and let family know we were ok. As we set out back with our heavy packs Mount Keen mocked us with a plethora of blue blue sky and fluffy white clouds adorning the summit. We set off at a clip back to the car but it was dark by the time we reached the halfway hut. We stopped for a cup of tea to fill our rumbling bellies and set off into the darkness of the forest. We had our LED lamp and spare batteries but we had forgotten to bring a screwdriver to change them, not knowing how long it would last and with the backup torch taking an AA battery (which we didn't bring) we decided to trust our night vision. It was tough going. Backtracking, we found our way back to the correct path and as we approached the bridge to the car park the moon put in an appearance on the horizon and lit our final few steps. It was 1am when we collapsed into the comfort of the car. All in all, we really enjoyed our two days out. Our first boots off water crossing, our first Munro, our first night in the tent in bad conditions and our first star lit walk. It was great and we can't wait to get out again. We have added some lessons learned to our checklist and also added a few items of gear to our must buy list. Headtorches are a must. More biscuits too. There was never a more welcome sight than the Mcdonalds on the way home. Jen gets next pick and she has chosen Schiehallion for Monday. I'm hoping my legs will have recovered by then! Re: Our first Munro was certainly memorable. Good report and well done .A day of difficult conditions. 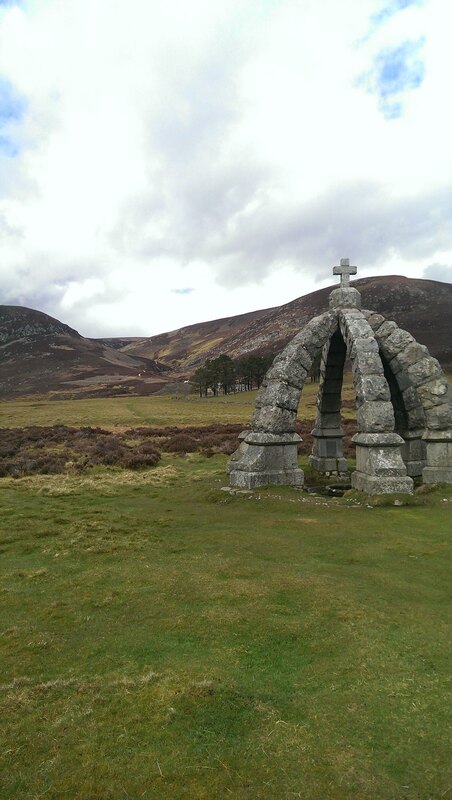 Heading to mount keen on Sunday from Glen tanar on a bike n hike. Should get a nicer day as forecast seems good for Sunday. rodderss wrote: Good report and well done .A day of difficult conditions. There was a couple of patches of persistent snow near the summit but all the stuff that fell on us had gone by the time we left. Watch out for deer on the way back. They were down at the riverside when we walked out and were bounding across the path right in front of us. On a bike you might come a cropper if you're going fast. Goodness that was an adventure for your first Munro. Well done you on keeping going and even extending your walk to an Epic!